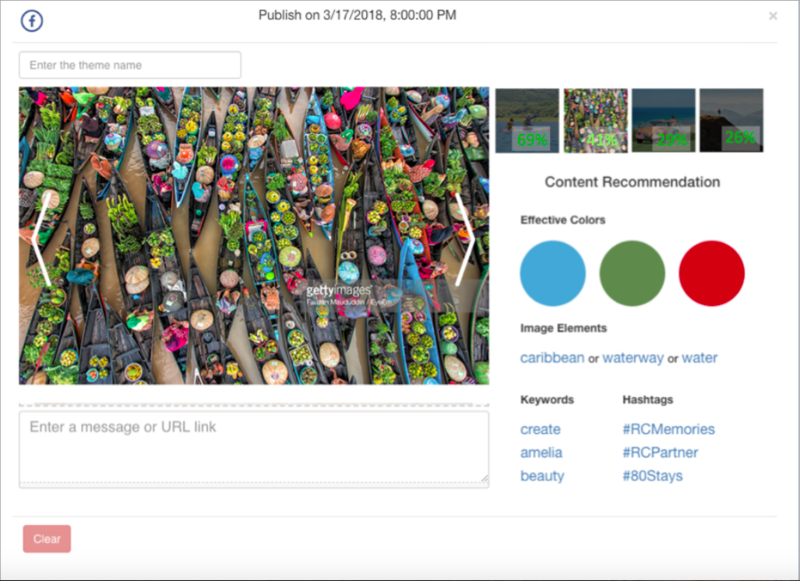 New York, 4 April, 2018 - Getty Images, a worldwide leader in visual communication, today announced a partnership with Cortex, an AI for creativity platform, to recommended the best Getty Images content for social media campaigns. Cortex’s artificial intelligence analyzes several years’ worth of data from over 33,0000 brands to predict and recommend which color schemes, imagery, and keywords perform best on social media – that can be automated by time, frequency, and subject. From today the recommendations will also include specific images drawn from Getty Images expansive collection of creative content. Cortex currently has a lengthy list of customers across several industries including: Heineken, Hulu, Jack Daniels and Marriott. According to data compiled by Cortex, marketers using the tool to create content outperform their industry benchmarks by up to 300 percent and save an average of 8.5 hours per user per week. “Having an abundance of content is amazing for choice, but without the data to understand it, it can also be overwhelming. Cortex has developed a sophisticated artificial intelligence tool that makes consistently choosing the best visual content for your brand easy while giving you a significant advantage over your competition,” said Getty Images Senior Vice President of Data and Insights Andrew Hamilton. This announcement follows a series of partnerships as the company drives forward its Getty Images Everywhere strategy - delivering the company’s world-class content to everyone. Under the leadership of Hamilton, Getty Images has developed a growing Data and Insights team that reflects the company’s commitment to innovation and experimentation with the latest technology to drive value for customers and partners. Cortex is a AI platform focused on augmenting creativity. Cortex enables creatives to create and deploy content that inspires their audience to action at scale by leveraging the maximum level of automation possible. This capacity is critical in organizations where advertising, marketing, and creative teams produce and distribute content across multiple channels at an increasingly rapid pace. Cortex uses machine learning, big data, and computer vision to find patterns, optimize performance, and predict content performance. Recommendations are specific and automated by time, frequency, and subject in an easy-to-use calendar format. Creatives use Cortex to make data-driven creative decisions in real time and rapidly drive better results. Visit Getty Images at www.gettyimages.com to learn more about how the company is advancing the unique role of still and moving imagery in communication and business, and enabling creative ideas to come to life. For company news and announcements, visit our Press Room, and for the stories and inspiration behind our content, visit Stories & Trends. Find Getty Images on Facebook, Twitter, Instagram, Pinterest and Tumblr, or download the Getty Images app where you can explore, save and share the world’s best imagery.